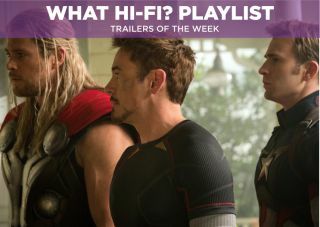 Trailers of the Week – Avengers: Age of Ultron, Chappie, John Wick & Penny Dreadful Series 2 | What Hi-Fi? Don't forget to check out our dedicated Twitter account @WHFPlaylist for all our Playlist reviews of music, movies, TV shows and games, the latest news and the occasional competition. The latest trailer for Marvel's Age of Ultron dropped this week and it's another sombre and subdued affair. There's not much in the way of new footage but what we do see reinforces the notion that Ultron (voiced by James Spader) is going to have a significant effect on the "world's mightiest heroes". After the erratic Elysium, we hope Chappie is a return to form for District 9 director Neil Blomkamp. It follows Dev Patel's scientist who creates an A.I. capable of emotion (Chappie, motion-captured by Sharlto Copley) - an A.I. that's seen as threat by Sigourney Weaver and Hugh Jackman's soldier, Vincent Moore. We're all for robots trying to fight for their existence, but we also just want to see one robot hit another. We're simple like that. John Wick was meant to be out in the UK in January, but it's been pushed back to April. From the US reviews we've read, Wick is a stylish action-thriller with great action and quite frankly we're very eager to see this. After last year's confident first series, Penny Dreadful is back for a second helping and it looks like it will delve into even murkier waters than before. This trailer promises blood, by the literal bathload.